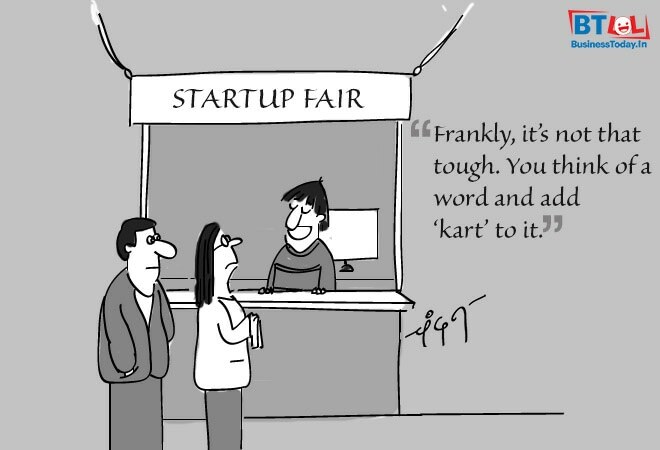 Cartoon of the Day: Startup guide for dummies and other jokes! Cartoon of the Day by Chandan Kumar: Frankly, it's not that tough. You think of a word and add'kart' to it.